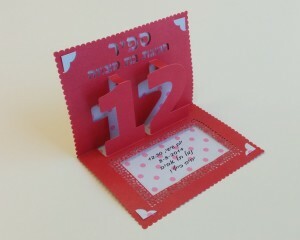 A dream Bat-Mitzvah celebration starts with the planning and design of the event. 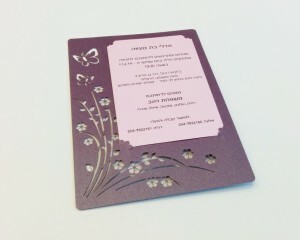 A special Bat-Mitzvah event begins with the manner in which the guests are invited to attend – the experience begins as soon as the envelope is opened, as emotions are stirred and anticipation only grows. 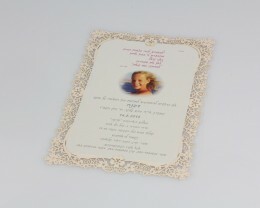 You can select a pop-up invitation or a lace invitation, choose the color combination and the type of quality paper and formulate the text for the invitation. The right invitation will convey information and sentiments regarding the character of the event and what the guests can expect when they enter the function hall. Personal branding is an inseparable part of the production of any event. 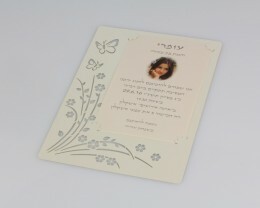 It includes exciting ornaments for wine glasses, serviette rings carrying the name of the Bat-Mitzvah girl, custom-designed paper fans with the date and cool gift packages for the guests – all customized. We at PaperBoutique will always be delighted to help and consult you so that you may choose the right invitation for your Bat-Mitzvah event and brand the event as a whole exactly according to your preferences.